The Formatt 58mm Soft Net Black 2 Filter uses an old Hollywood technique of overlaying a net pattern on the surface of the resin creating a classic diffusion effect, minimizing unwanted details while maintaining image clarity. There's nothing better for a wedding or portrait photographer than to have a filter that offers a flattering alternative to the standard wedding portrait. The Formatt Soft Net Black filter can help bring down contrast in bright situations and turn what would normally be a harsh image, into one that is more even toned and romantic. 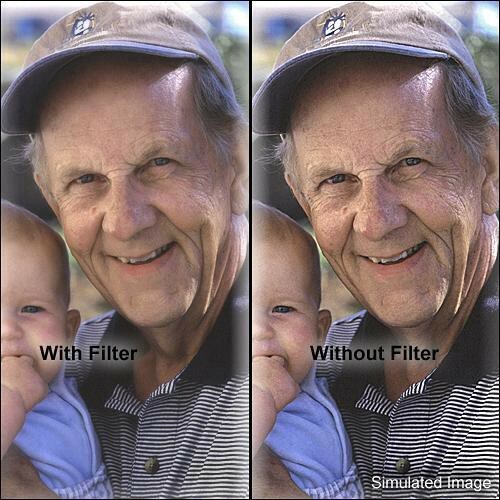 This filter will also correct for minor skin imperfections.